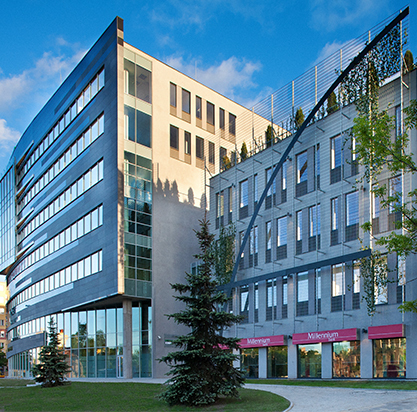 Forum 76 is a Grade A premium office building located in the heart of Poland’s second largest city, Lodz. Poland’s regional cities have become key investment destinations for the fast growing service sector. Lodz is located in central Poland, with superb modern transport networks and some of the most respected universities supplying skilled workers with second languages, The city has become extremely popular as a SSC and BPO location for many multinational companies. Situated on one of the most important crossroads in the city centre, Forum 76 offers unrivalled proximity to the city’s newly completed high-speed tram system. This landmark building is finished to an exceptionally high standard, the property delivers 8,000 sqm of high quality office space that meets global occupiers’ IT and occupational requirements. Airbus, Magalan, WBK, mBank, BNP Paribas, Deloitte and Provident Financial are just some of the building’s institutional tenants. 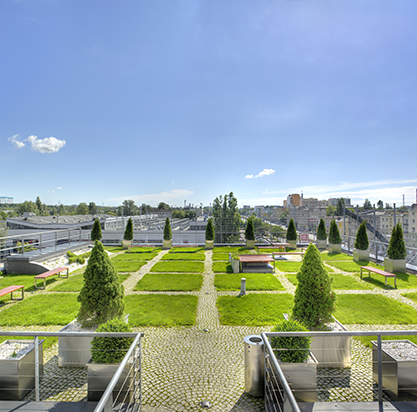 Forum 76 has received numerous real estate industry accolades, including the “Office of the Year” and “Building Construction of the year 2009”, and the Property is certified BREEAM “Very Good”. ©Sharow Capital Ltd. All rights reserved worldwide.